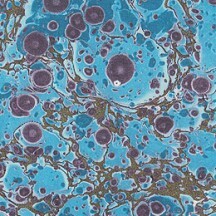 1 sheet measuring 19.5" x 13.5" of hand marbled paper in shades of blue. 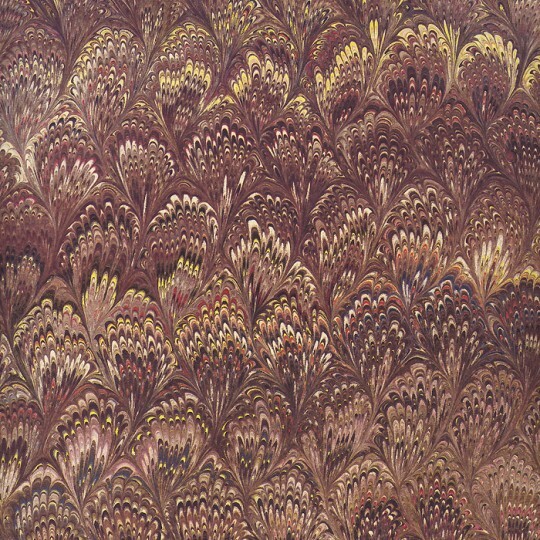 The Bird Wing pattern is complicated to create and features a fine-combed feathery design. Acid-free with a weight of 100 gsm. 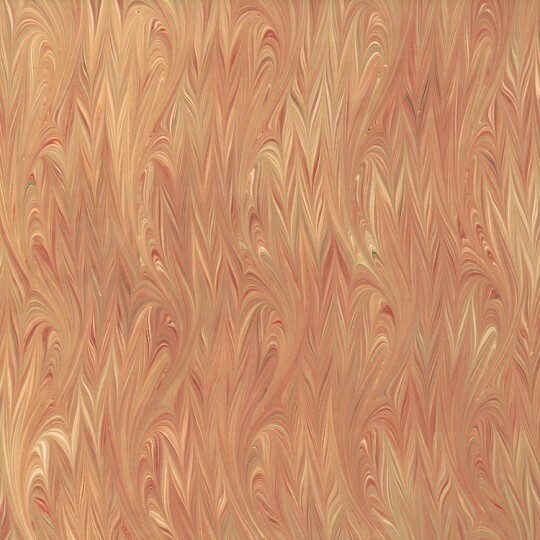 Handmade in Italy by Marbled Arts. 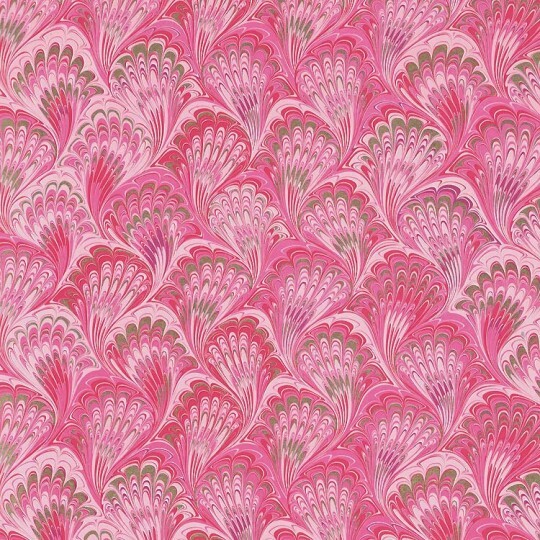 Due to the handmade nature of this paper, each sheet varies slightly and the pattern has no repeat for matching. 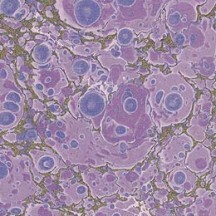 1 sheet measuring 19.5" x 13.5" of hand marbled paper in shades of purple. 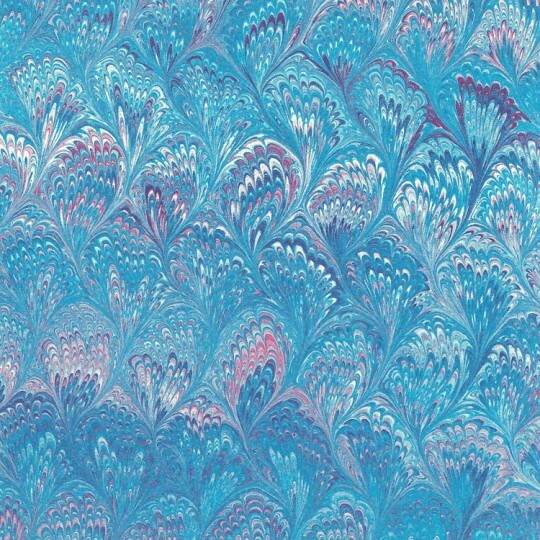 The Bouquet or Peacock pattern is one of the most famous and popular in marbling. Acid-free with a weight of 90 gsm. 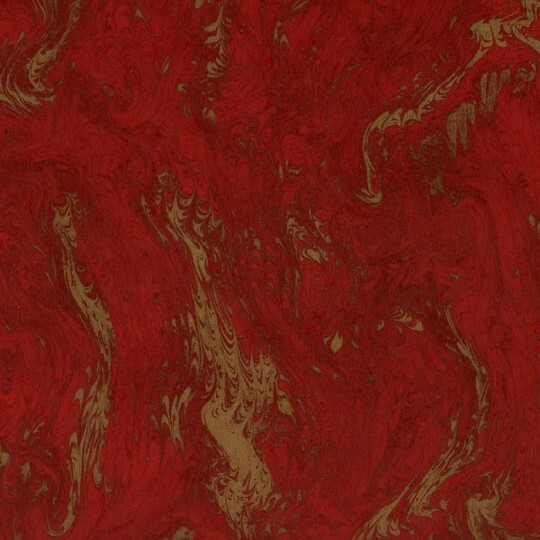 Handmade in Italy by Marbled Arts. 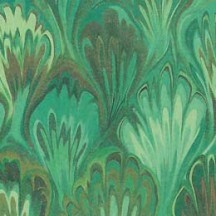 Due to the handmade nature of this paper, each sheet varies slightly and the pattern has no repeat for matching. 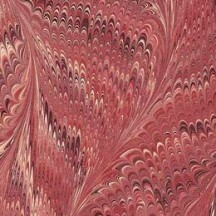 1 sheet measuring 19.5" x 13.5" of hand marbled paper in shades of burgundy. 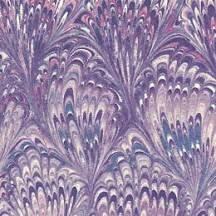 The Butterfly pattern is complicated to create and features a fine-combed feathery design; a very uncommon style. Acid-free with a weight of 100 gsm. Handmade in Italy by Marbled Arts. 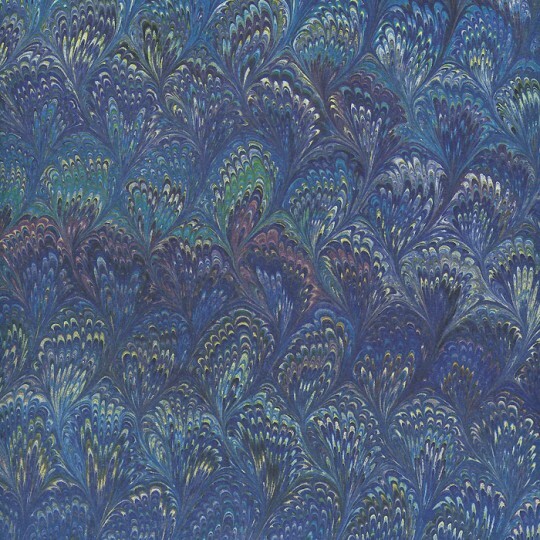 Due to the handmade nature of this paper, each sheet varies slightly and the pattern has no repeat for matching. 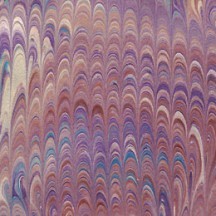 1 sheet measuring 19.5" x 13.5" of hand marbled paper in shades of blues and purples. 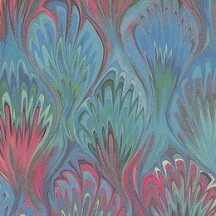 The Flamed pattern is an intricate raked style created with great skill. Acid-free with a weight of 90 gsm. 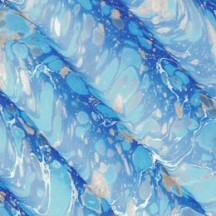 Handmade in Italy by Marbled Arts. 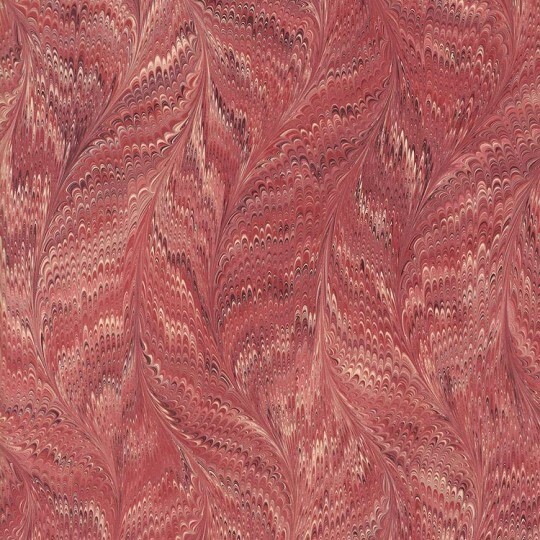 Due to the handmade nature of this paper, each sheet varies slightly and the pattern has no repeat for matching. 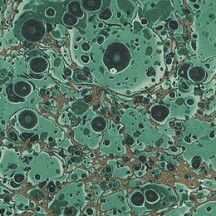 1 sheet measuring 19.5" x 13.5" of hand marbled paper in shades of aqua and green. 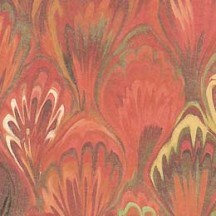 The Flamed pattern is an intricate raked style created with great skill. Acid-free with a weight of 90 gsm. Handmade in Italy by Marbled Arts. 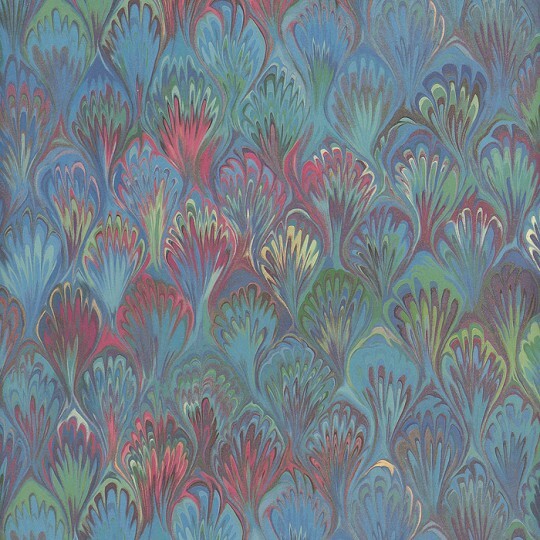 Due to the handmade nature of this paper, each sheet varies slightly and the pattern has no repeat for matching. 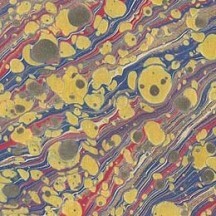 1 sheet measuring 19.5" x 13.5" of hand marbled paper in shades of golden yellow. 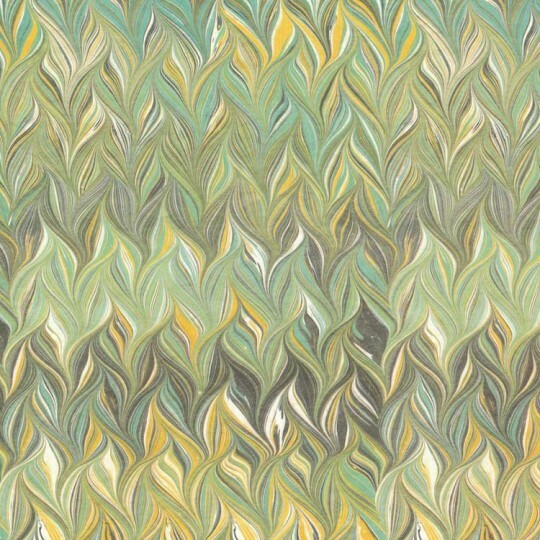 The Flamed pattern is an intricate raked style created with great skill. Acid-free with a weight of 90 gsm. 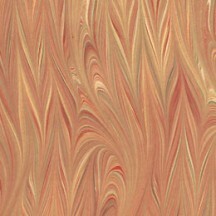 Handmade in Italy by Marbled Arts. Due to the handmade nature of this paper, each sheet varies slightly and the pattern has no repeat for matching. 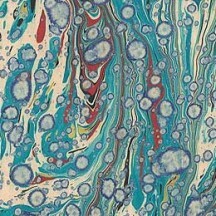 1 sheet measuring 19.5" x 13.5" of hand marbled paper in shades of blue and black. 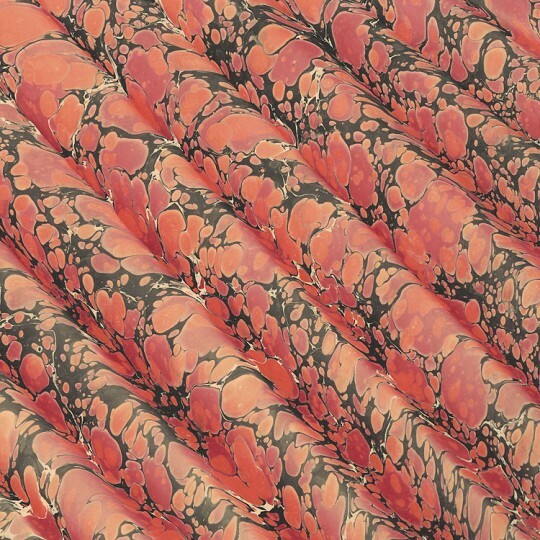 The French Curl pattern is a traditional centuries-old pattern often seen in old bookbinding. 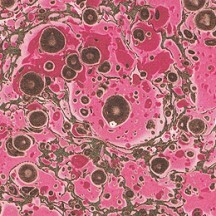 Acid-free with a weight of 90 gsm. Handmade in Italy by Marbled Arts. Due to the handmade nature of this paper, each sheet varies slightly and the pattern has no repeat for matching. 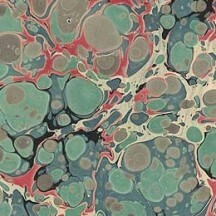 1 sheet measuring 19.5" x 13.5" of hand marbled paper in shades of green and red. 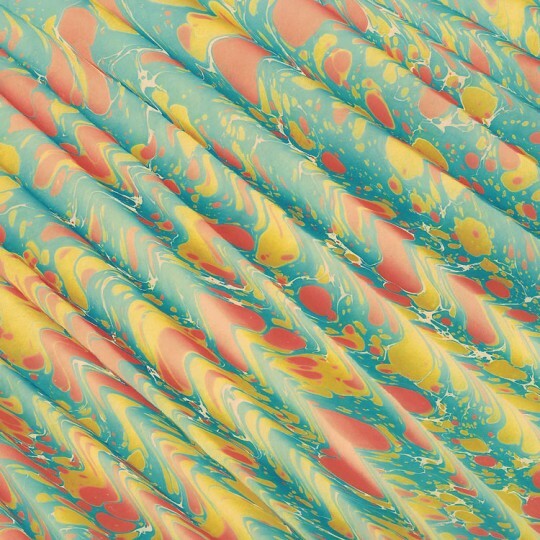 The French Curl pattern is a traditional centuries-old pattern often seen in old bookbinding. Acid-free with a weight of 90 gsm. 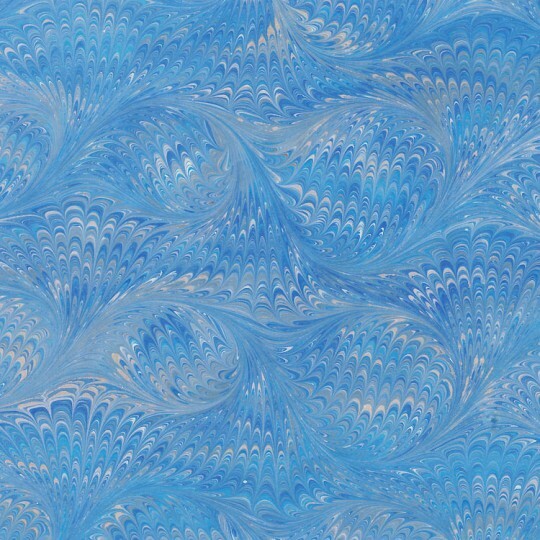 Handmade in Italy by Marbled Arts. 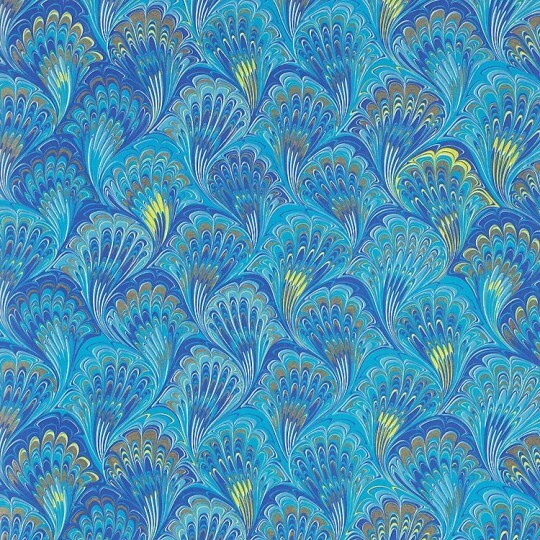 Due to the handmade nature of this paper, each sheet varies slightly and the pattern has no repeat for matching. 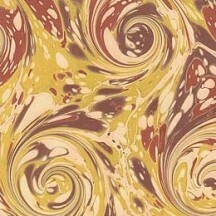 1 sheet measuring 19.5" x 13.5" of hand marbled paper in shades of yellow and brown. 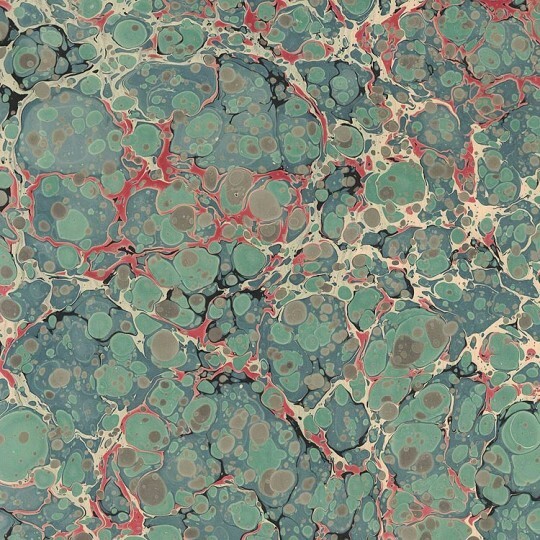 The French Curl pattern is a traditional centuries-old pattern often seen in old bookbinding. Acid-free with a weight of 90 gsm. 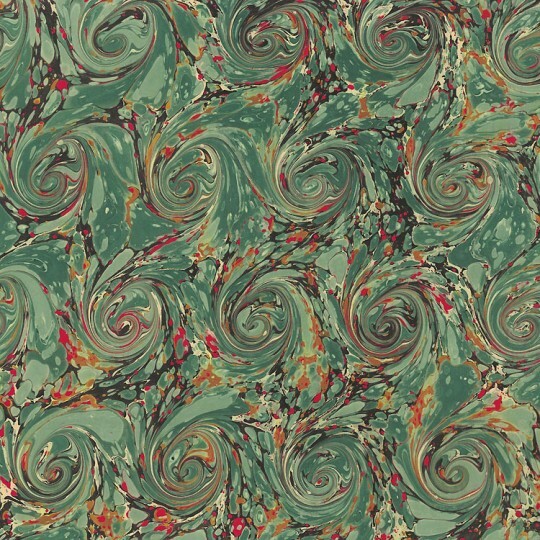 Handmade in Italy by Marbled Arts. 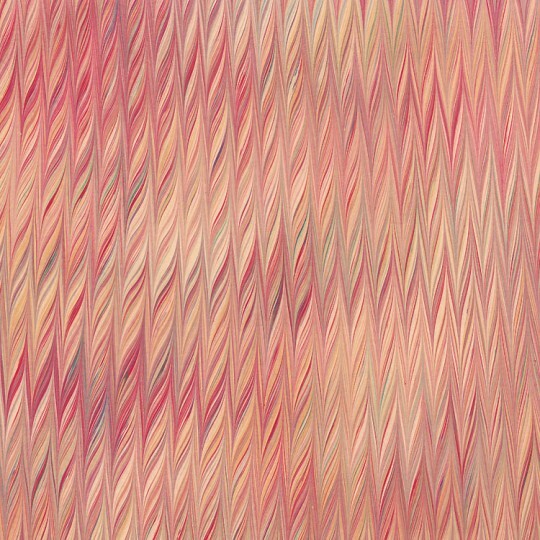 Due to the handmade nature of this paper, each sheet varies slightly and the pattern has no repeat for matching. 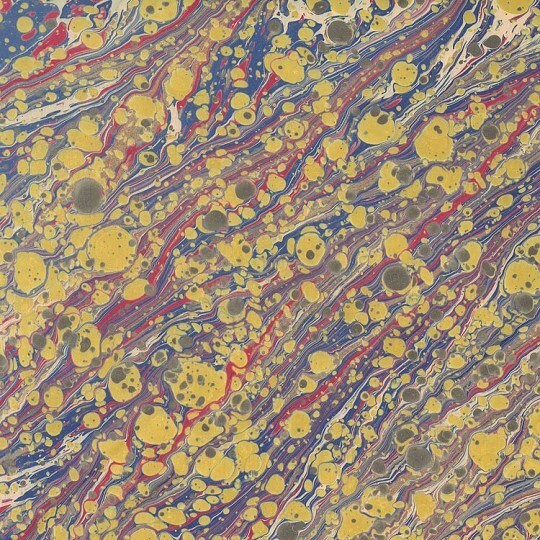 1 sheet measuring 19.5" x 13.5" of hand marbled paper in shades of golden yellow. The Combed pattern is an intricate raked style created with great skill. Acid-free with a weight of 90 gsm. 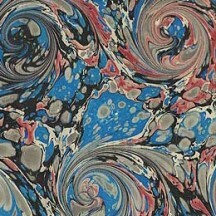 Handmade in Italy by Marbled Arts. 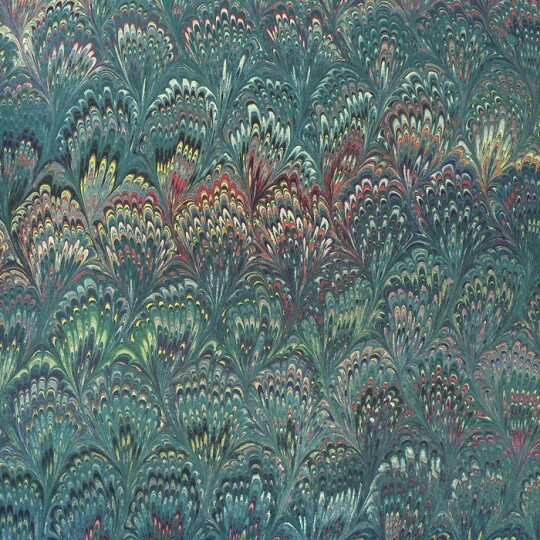 Due to the handmade nature of this paper, each sheet varies slightly and the pattern has no repeat for matching. 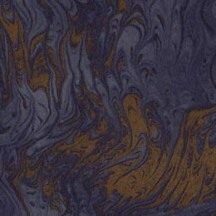 1 sheet measuring 19.5" x 13.5" of hand marbled paper in shades of blue, yellow and orange. 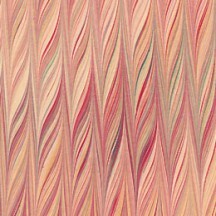 The Spanish Wave pattern has a beautiful 3-D effect with the look of gathered fabric though the paper is indeed flat. 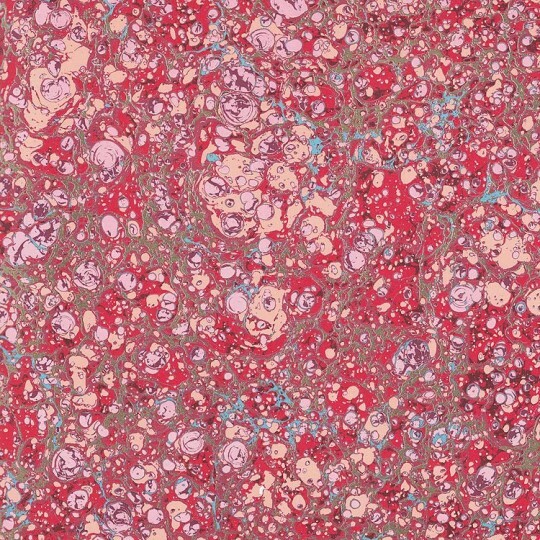 Acid-free with a weight of 90 gsm. 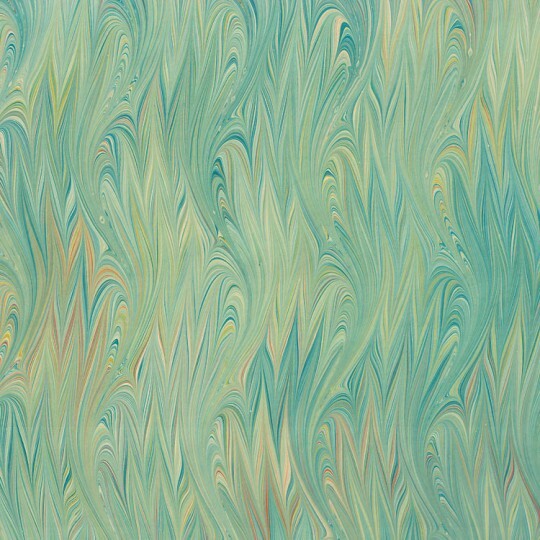 Handmade in Italy by Marbled Arts. Due to the handmade nature of this paper, each sheet varies slightly and the pattern has no repeat for matching. 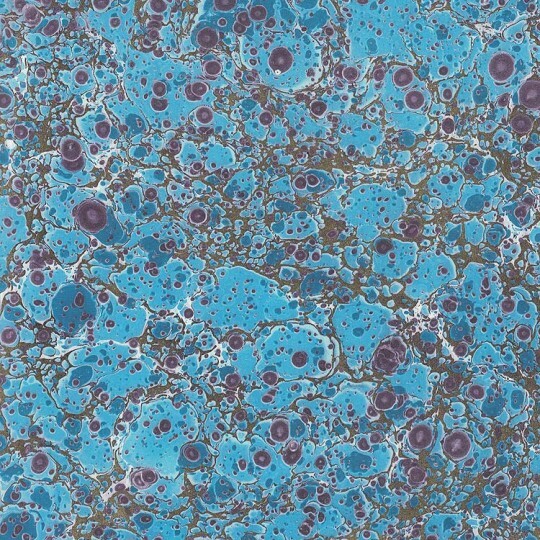 1 sheet measuring 19.5" x 13.5" of hand marbled paper in shades of blue. 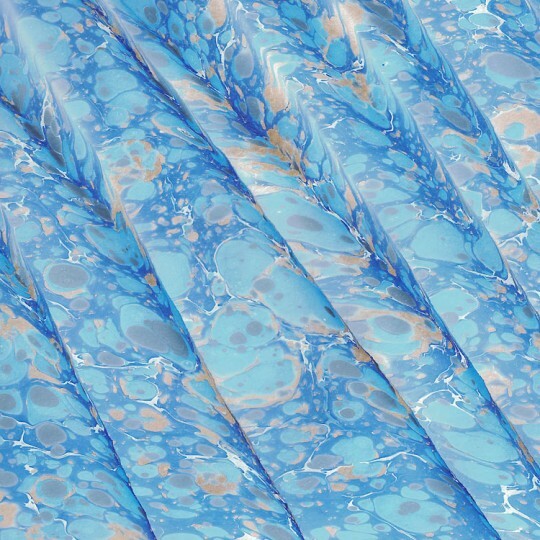 The Spanish Wave pattern has a beautiful 3-D effect with the look of gathered fabric though the paper is indeed flat. Acid-free with a weight of 100 gsm. 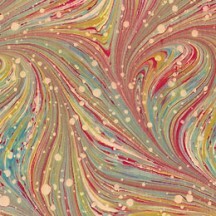 Handmade in Italy by Marbled Arts. 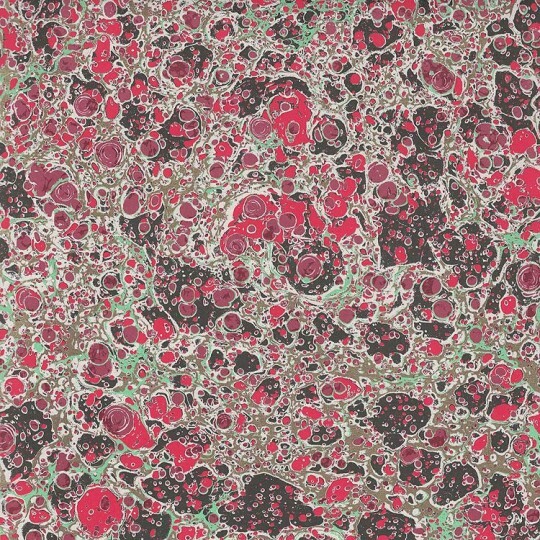 Due to the handmade nature of this paper, each sheet varies slightly and the pattern has no repeat for matching. 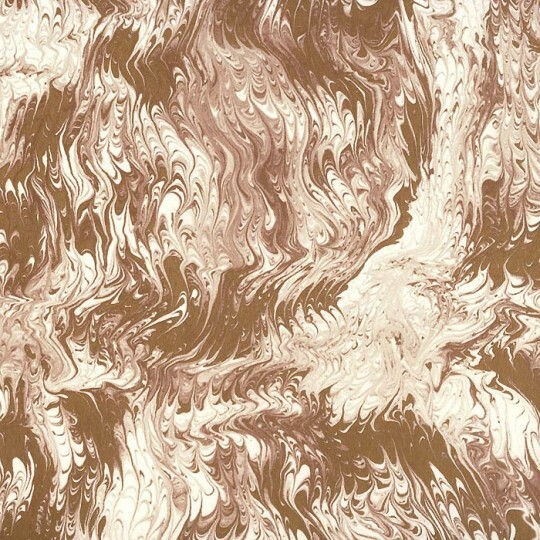 1 sheet measuring 19.5" x 13.5" of hand marbled paper in shades of orange and black. 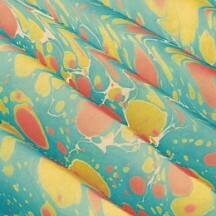 The Spanish Wave pattern has a beautiful 3-D effect with the look of gathered fabric though the paper is indeed flat. Acid-free with a weight of 90 gsm. 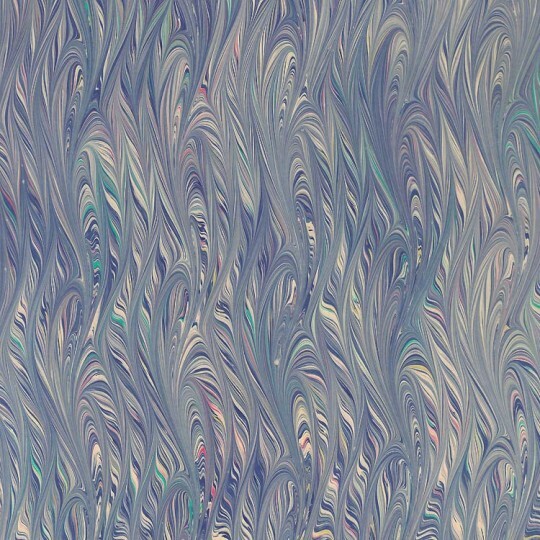 Handmade in Italy by Marbled Arts. Due to the handmade nature of this paper, each sheet varies slightly and the pattern has no repeat for matching. 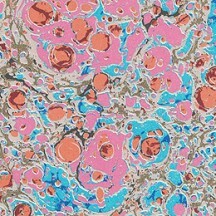 1 sheet measuring 19.5" x 13.5" of hand marbled paper in multi-color. The Star pattern is an intricate mix of striped stars and tiny droplets. Acid-free with a weight of 90 gsm. 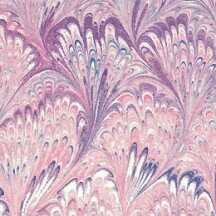 Handmade in Italy by Marbled Arts. Due to the handmade nature of this paper, each sheet varies slightly and the pattern has no repeat for matching. 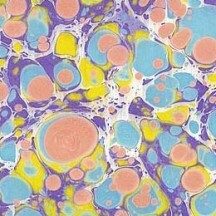 1 sheet measuring 19.5" x 13.5" of hand marbled paper in shades of golden yellow and purple. 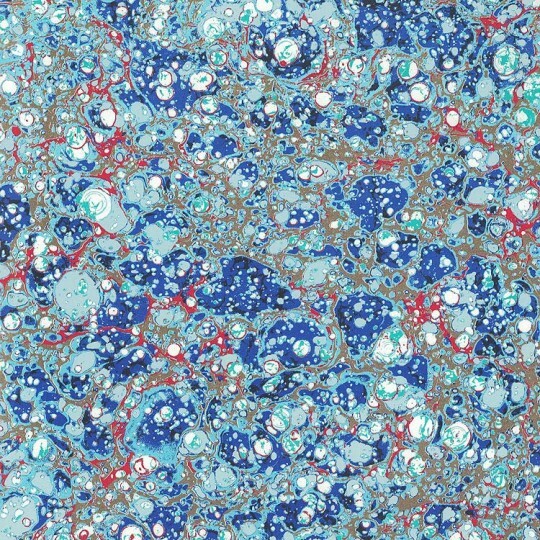 The Stone Marble pattern is a time consuming design to make as it is created with thousands of tiny droplets of color. 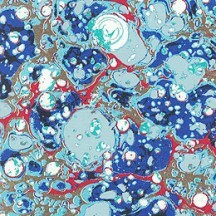 Acid-free with a weight of 90 gsm. 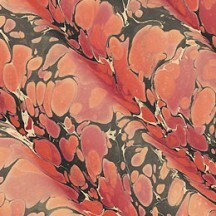 Handmade in Italy by Marbled Arts. 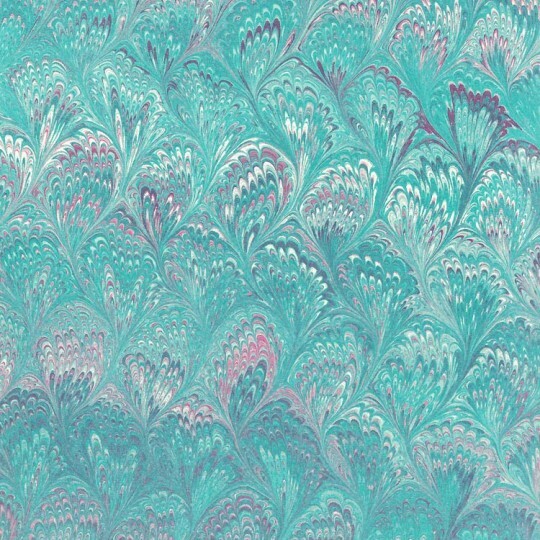 Due to the handmade nature of this paper, each sheet varies slightly and the pattern has no repeat for matching. 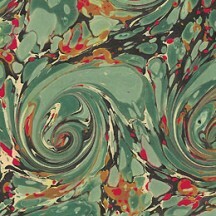 1 sheet measuring 19.5" x 13.5" of hand marbled paper in shades of green and red. 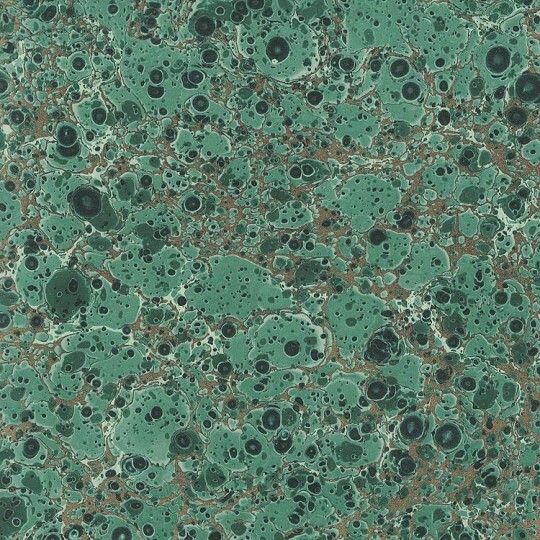 The Stone Marble pattern is a time consuming design to make as it is created with thousands of tiny droplets of color. Acid-free with a weight of 90 gsm. 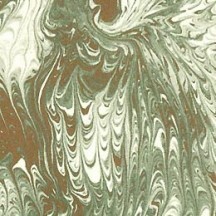 Handmade in Italy by Marbled Arts. Due to the handmade nature of this paper, each sheet varies slightly and the pattern has no repeat for matching. 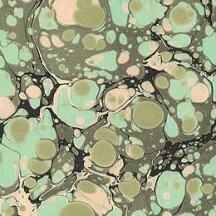 1 sheet measuring 19.5" x 13.5" of hand marbled paper in shades of mint and ivory. 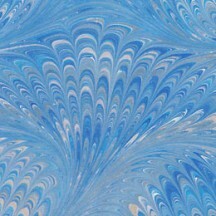 The Stone Marble pattern is a time consuming design to make as it is created with thousands of tiny droplets of color. Acid-free with a weight of 90 gsm. 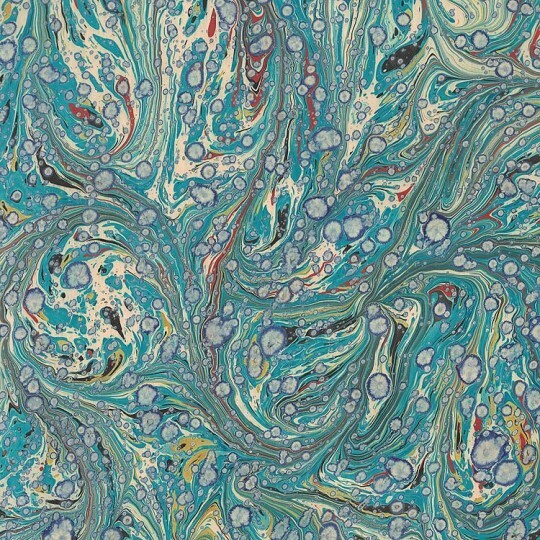 Handmade in Italy by Marbled Arts. Due to the handmade nature of this paper, each sheet varies slightly and the pattern has no repeat for matching. 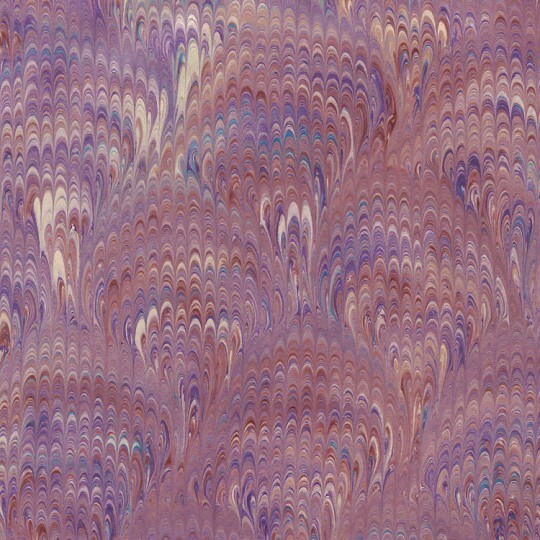 1 sheet measuring 19.5" x 13.5" of hand marbled paper in shades of purple and orange. 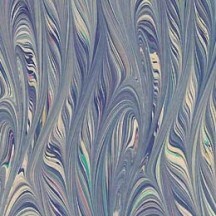 The Stone Marble pattern is a time consuming design to make as it is created with thousands of tiny droplets of color. Acid-free with a weight of 90 gsm. 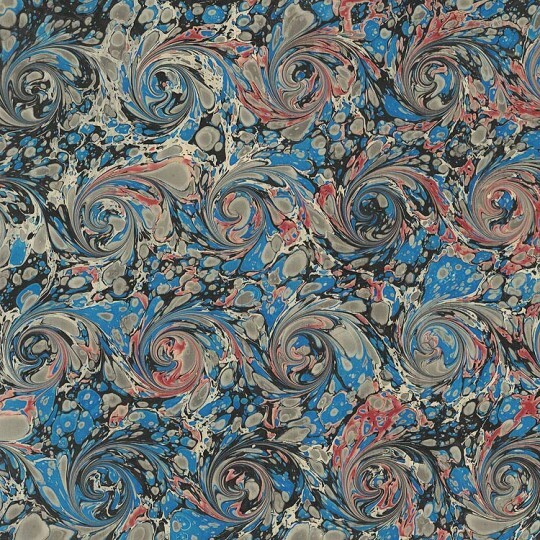 Handmade in Italy by Marbled Arts. Due to the handmade nature of this paper, each sheet varies slightly and the pattern has no repeat for matching. 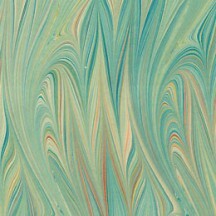 1 sheet measuring 19.5" x 13.5" of hand marbled paper in shades of teal and ivory. 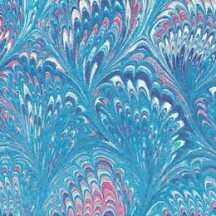 The Stone Marble pattern is a time consuming design to make as it is created with thousands of tiny droplets of color. Acid-free with a weight of 90 gsm. 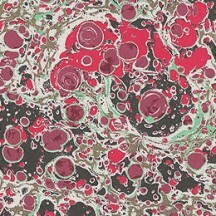 Handmade in Italy by Marbled Arts. 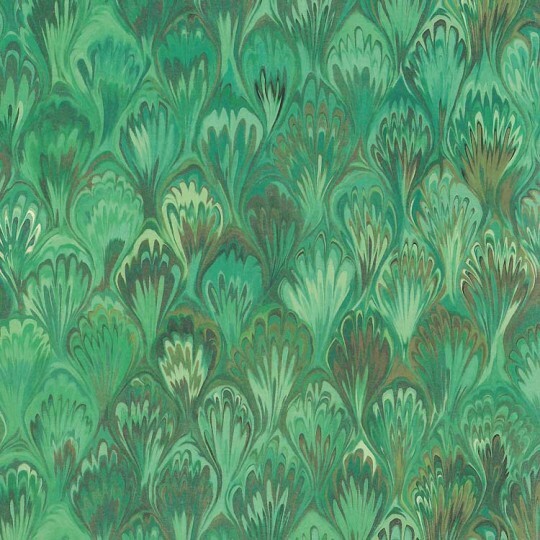 Due to the handmade nature of this paper, each sheet varies slightly and the pattern has no repeat for matching. 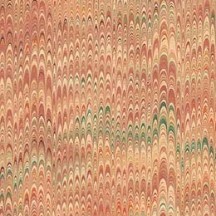 1 sheet measuring 19.5" x 13.5" of hand marbled paper in shades of muted reds and yellows. 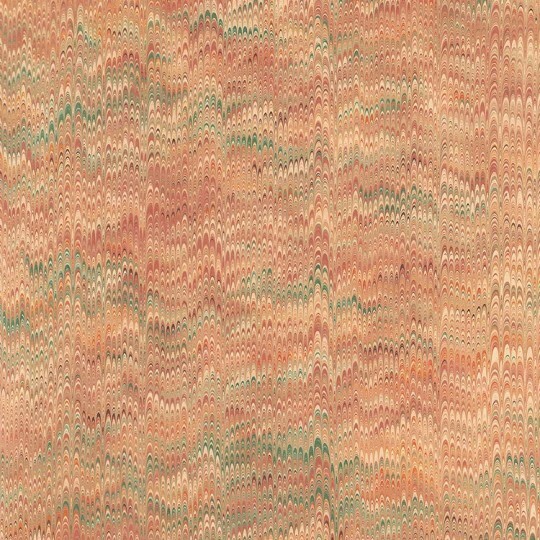 The Twilled pattern is an intricate raked style created with great skill. Acid-free with a weight of 90 gsm. 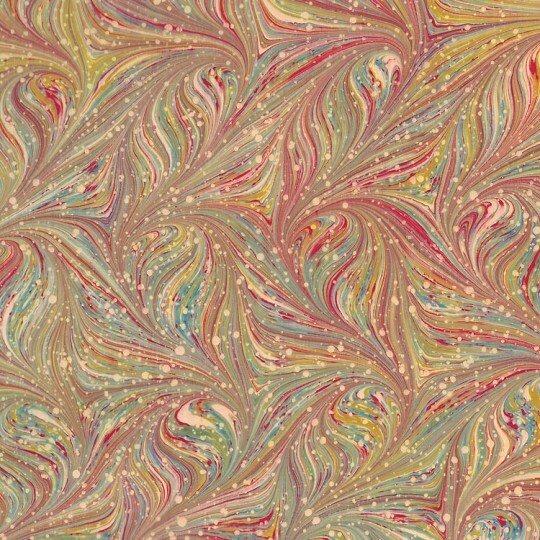 Handmade in Italy by Marbled Arts. 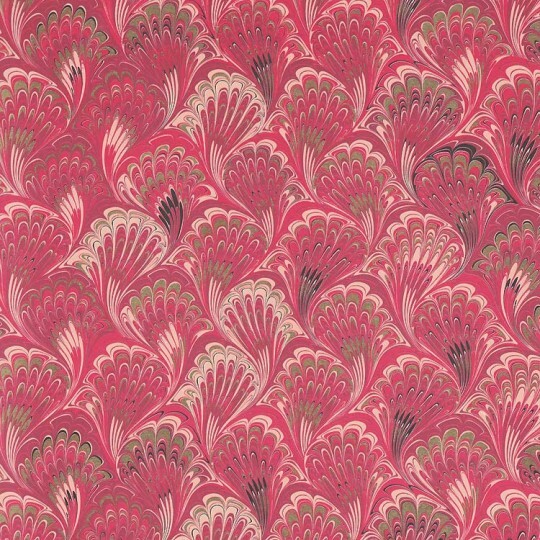 Due to the handmade nature of this paper, each sheet varies slightly and the pattern has no repeat for matching. 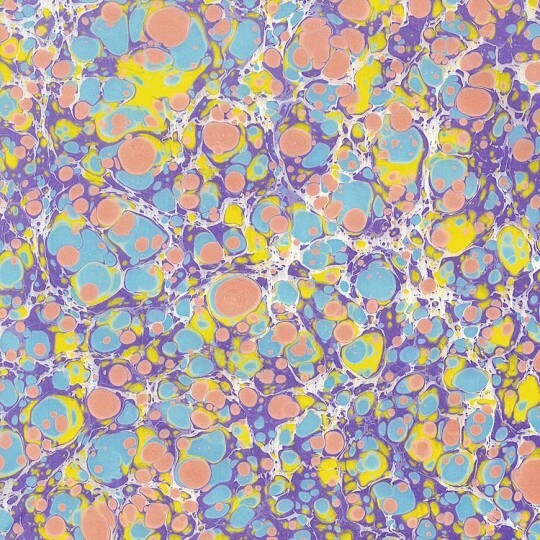 1 sheet measuring 19.5" x 13.5" of marbeled print Florentine paper featuring a blue and pink pebbled design with metallic golden highlights. Acid free and printer friendly. Made in Italy by Carta Fiorentina. 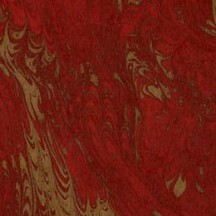 1 sheet measuring 19.5" x 13.5" of marbeled print Florentine paper featuring a red and black pebbled design with metallic golden highlights. Acid free and printer friendly. Made in Italy by Carta Fiorentina. 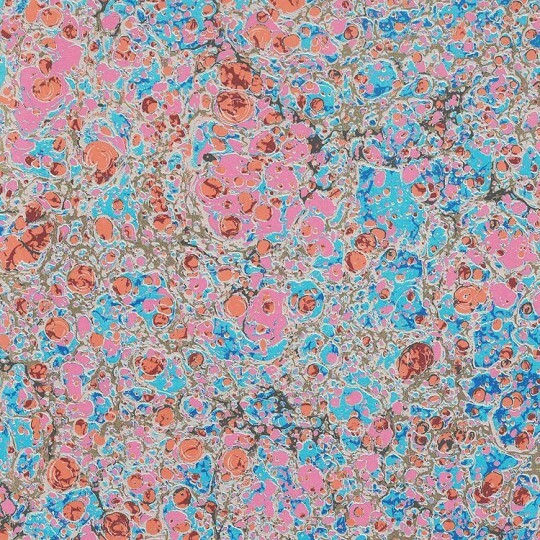 1 sheet measuring 19.5" x 13.5" of marbeled print Florentine paper featuring a red and blue pebbled design with metallic golden highlights. Acid free and printer friendly. Made in Italy by Carta Fiorentina. 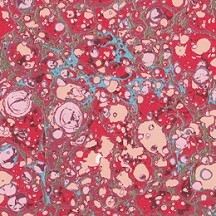 1 sheet measuring 19.5" x 13.5" of marbeled print Florentine paper featuring a red and pink pebbled design with metallic golden highlights. Acid free and printer friendly. Made in Italy by Carta Fiorentina. 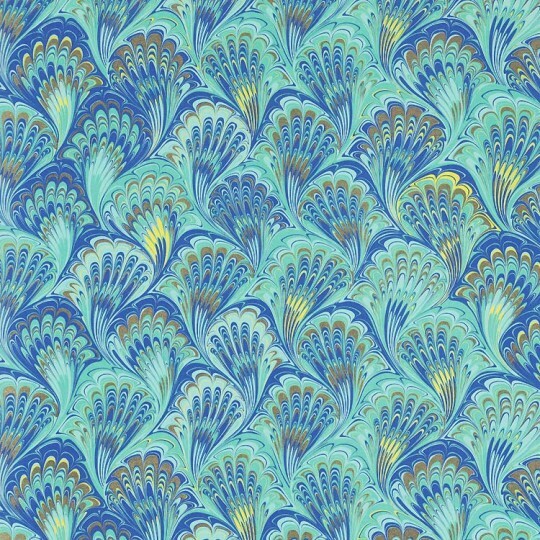 1 sheet measuring 19.5" x 13.5" of marbeled print Florentine paper featuring blue and aqua feathers with metallic golden highlights. Acid free and printer friendly. Made in Italy by Carta Fiorentina. 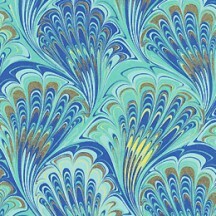 1 sheet measuring 19.5" x 13.5" of marbeled print Florentine paper featuring blue feathers with metallic golden highlights. Acid free and printer friendly. Made in Italy by Carta Fiorentina. 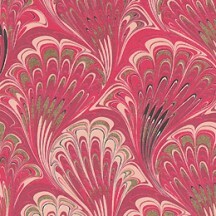 1 sheet measuring 19.5" x 13.5" of marbeled print Florentine paper featuring pink and red feathers with metallic golden highlights. Acid free and printer friendly. Made in Italy by Carta Fiorentina. 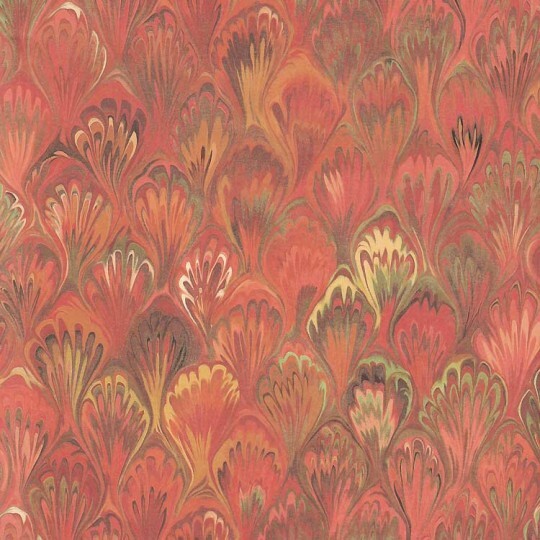 1 sheet measuring 19.5" x 13.5" of marbeled print Florentine paper featuring tomato red feathers with metallic golden highlights. Acid free and printer friendly. Made in Italy by Carta Fiorentina. 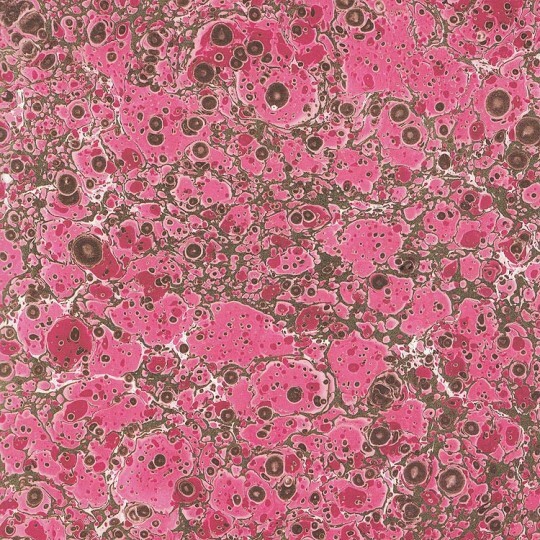 1 sheet measuring 19.5" x 13.5" of marbeled print Florentine paper featuring a berry pink pebbled design with metallic golden highlights. Acid free and printer friendly. Made in Italy by Carta Fiorentina. 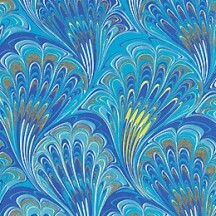 1 sheet measuring 19.5" x 13.5" of marbeled print Florentine paper featuring a blue pebbled design with metallic golden highlights. Acid free and printer friendly. Made in Italy by Carta Fiorentina. 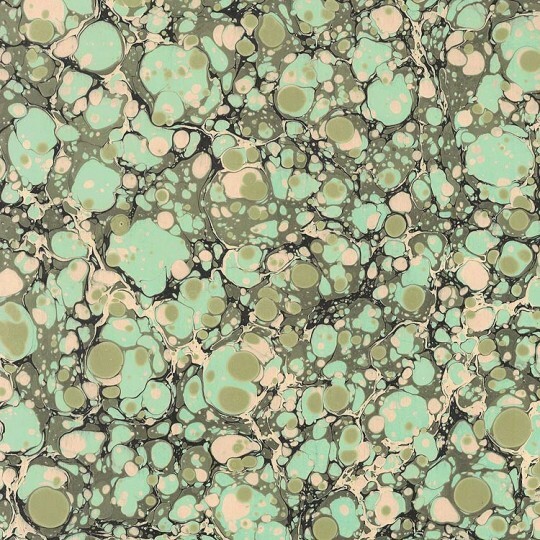 1 sheet measuring 19.5" x 13.5" of marbeled print Florentine paper featuring a green pebbled design with metallic golden highlights. Acid free and printer friendly. Made in Italy by Carta Fiorentina. 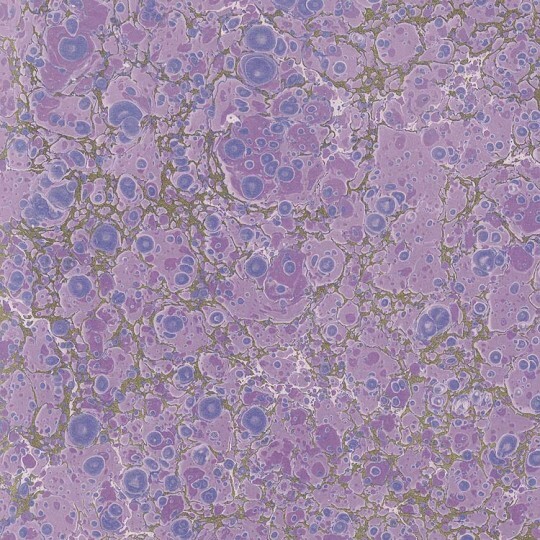 1 sheet measuring 19.5" x 13.5" of marbeled print Florentine paper featuring a purple pebbled design with metallic golden highlights. Acid free and printer friendly. Made in Italy by Carta Fiorentina. 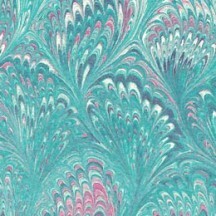 1 sheet measuring 19.5" x 13.5" of marbeled print Florentine paper featuring aqua feathers. Acid free and printer friendly. Made in Italy by Carta Fiorentina. 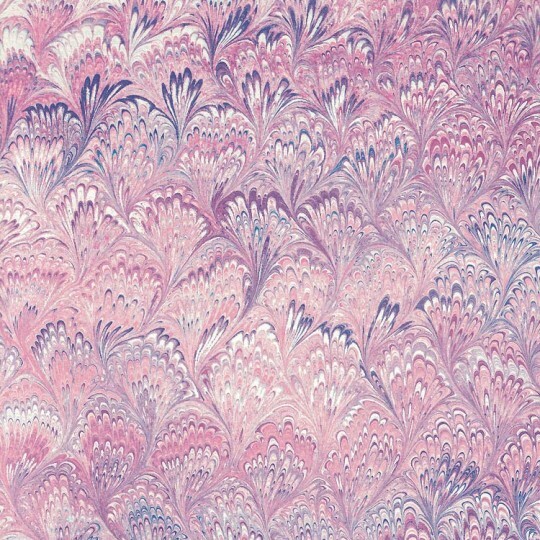 1 sheet measuring 19.5" x 13.5" of marbeled print Florentine paper featuring blue with pink feathers. Acid free and printer friendly. Made in Italy by Carta Fiorentina. 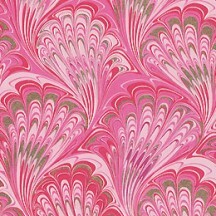 1 sheet measuring 19.5" x 13.5" of marbeled print Florentine paper featuring pink feathers. Acid free and printer friendly. Made in Italy by Carta Fiorentina. 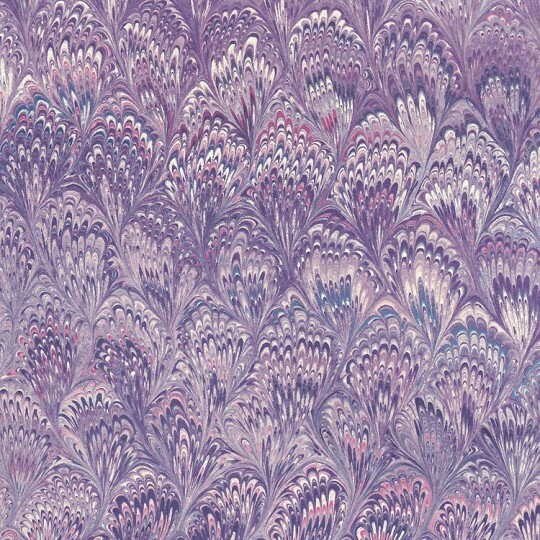 1 sheet measuring 19.5" x 13.5" of marbeled print Florentine paper featuring purple feathers. Acid free and printer friendly. Made in Italy by Carta Fiorentina. 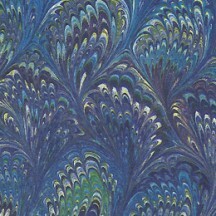 1 sheet measuring 19.5" x 13.5" of marbeled print Florentine paper featuring blue feathers. Acid free and printer friendly. Made in Italy by Carta Fiorentina. 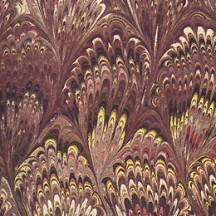 1 sheet measuring 19.5" x 13.5" of marbeled print Florentine paper featuring brown feathers. Acid free and printer friendly. Made in Italy by Carta Fiorentina. 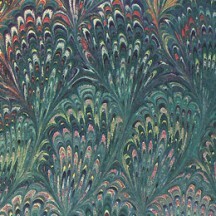 1 sheet measuring 19.5" x 13.5" of marbeled print Florentine paper featuring green feathers. Acid free and printer friendly. Made in Italy by Carta Fiorentina. 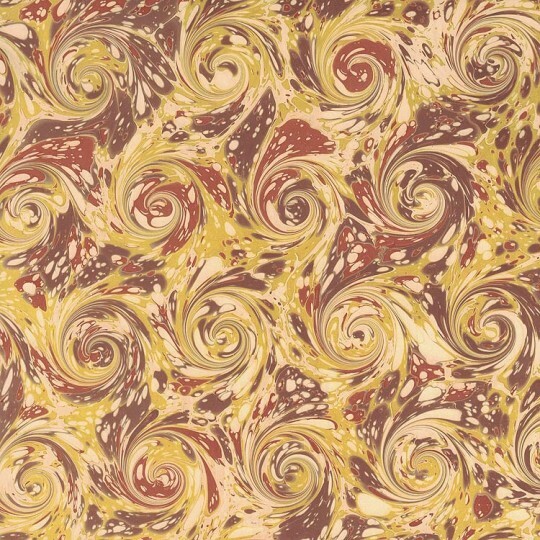 1 sheet measuring 19.5" x 13.5" of Italian paper featuring a marbelized pattern in gold and brick red. Acid free and printer friendly. Printed in Italy by Tassotti. 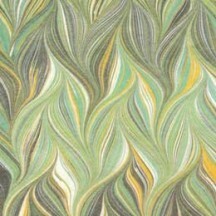 1 sheet measuring 19.5" x 13.5" of Italian paper featuring a marbled pattern in shades of green and yellow. Acid free and printer friendly. Printed in Italy by Tassotti. 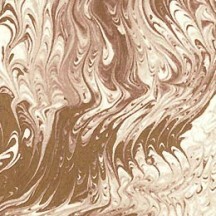 1 sheet measuring 19.5" x 13.5" of Italian paper featuring a marbelized pattern in gold, ivory and light brown. Acid free and printer friendly. Printed in Italy by Tassotti. 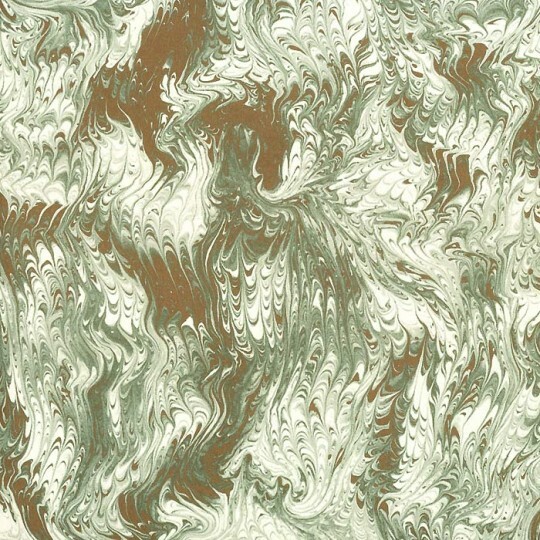 1 sheet measuring 19.5" x 13.5" of Italian paper featuring a marbelized pattern in gold, ivory and light green. Acid free and printer friendly. Printed in Italy by Tassotti.